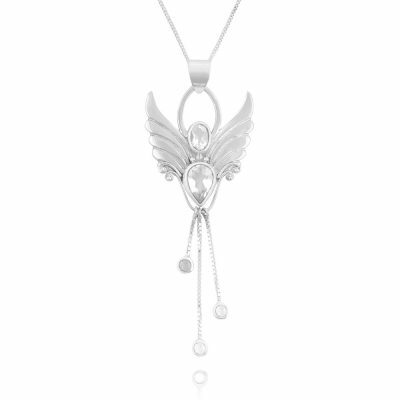 The Moonstone Angel supports us when starting college, moving house, changing career, the arrival of a new baby or embarking on a world tour. She soothes emotions, quells fear and apprehension and helps with all women’s matters. Birthstone for Jun/Jul. Sept/Nov. Moonstone is such a delightful crystal and befits this New Beginnings, Angel pendant moonstone crystals, guides and protects us through all life’s changes, no matter how big or small.